Dragonflies are awesome. | Vincent Cannataro, Ph.D.
Alright, so my wife and I both think dragonflies are really cool. We never really thought about exactly why we think this, it’s just this inherent neatness about them. Maybe it’s how they hover like brightly colored silent helicopters and then quickly dart about like… I don’t know, some sort of alien spacecraft. And, unlike some of our other backyard insect friends (I’m talking about mosquitoes and red imported fire ants, both of which seem to have an affinity for my skin in particular), dragonflies don’t bother us. You read that right. 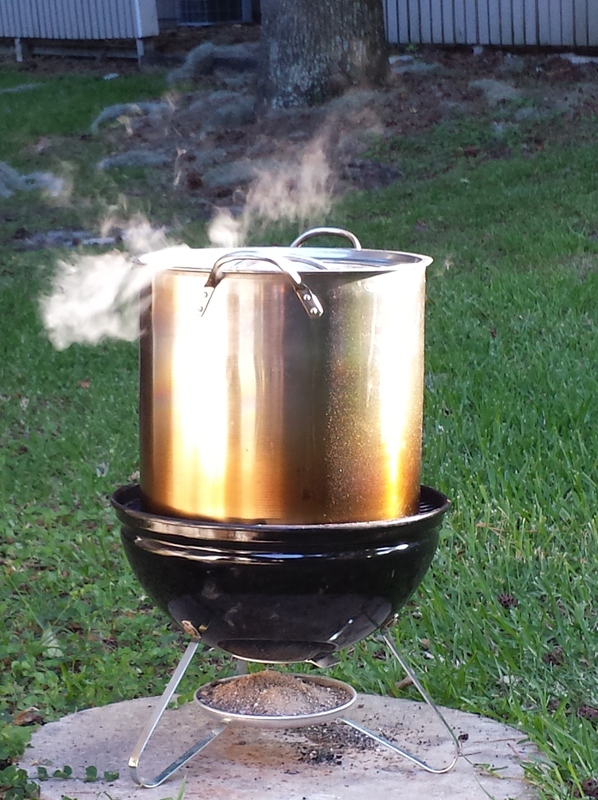 Cannataro’s Brewery Summer Saison will go on tap June 2015. … and I was joined by a male blue dasher! He hung out for a while, flew to different perches, and even let me get a few close-ups. Smiling for the camera. Which, by the way, was just my cell phone (galaxy s4). Eventually my wort was ready to start cooling and he was done patrolling the garden so we exchanged our goodbyes and went our separate ways. Little did I know the carnage that was awaiting me the next morning. Warning, dear reader, the next image is graphic. 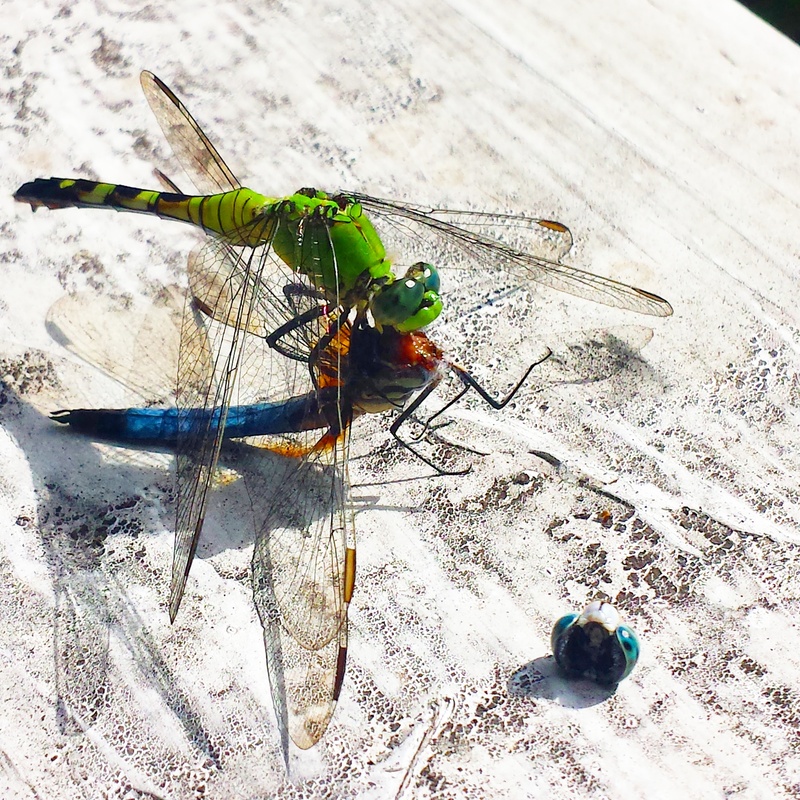 My dragonfly friend had been decapitated! By one of his own! Well, kind of. That new, green, living dragonfly is (I believe) a female eastern pondhawk. After I took that picture she flew off, taking the body with her, leaving just his head as evidence. Woah. Talk about cool backyard biology! Down the wikipedia rabbit hole I went. Time for some rapid fire fun dragonfly facts. 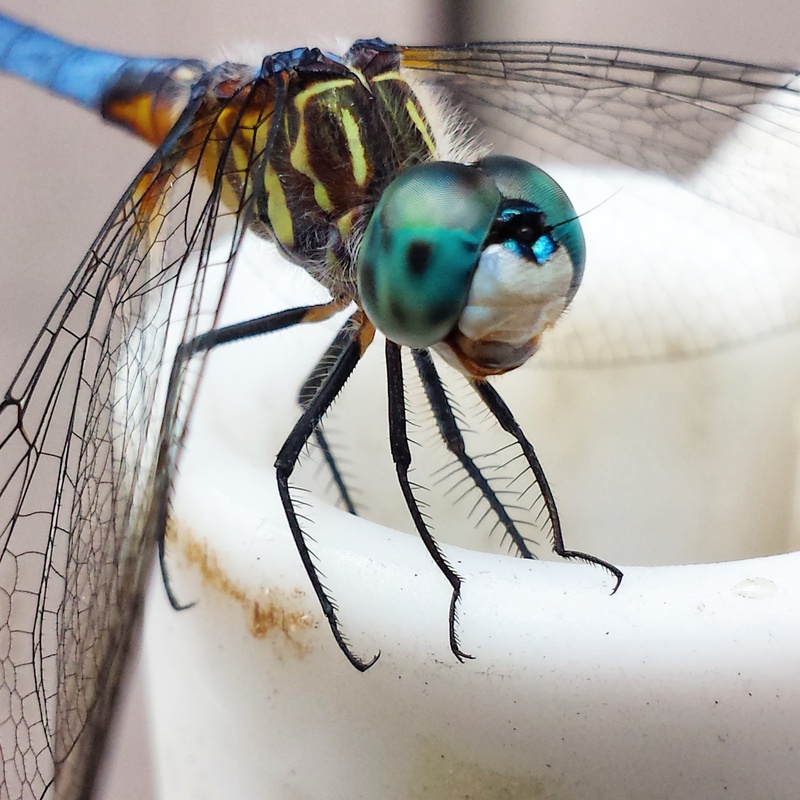 Dragonflies have been on Earth in pretty much their present form for over 300 million years. In fact, the largest insect to ever exist was an ancient dragonfly (with an estimated wingspan of 28 inches!). They can spend years in their underwater nymph form, which has extending and retractile lower jaws (remind you of any alien characters?) and can feed on vertebrates (small fish, tadpoles) and mosquito larvae (thank you). The adults enjoy mosquitoes as well (told you they were awesome). So next time you look at a dragonfly think about how you’re looking at the 300 million year old body plan of a ruthless killing machine with a 95% hunting success rate. Dragonflies are awesome! 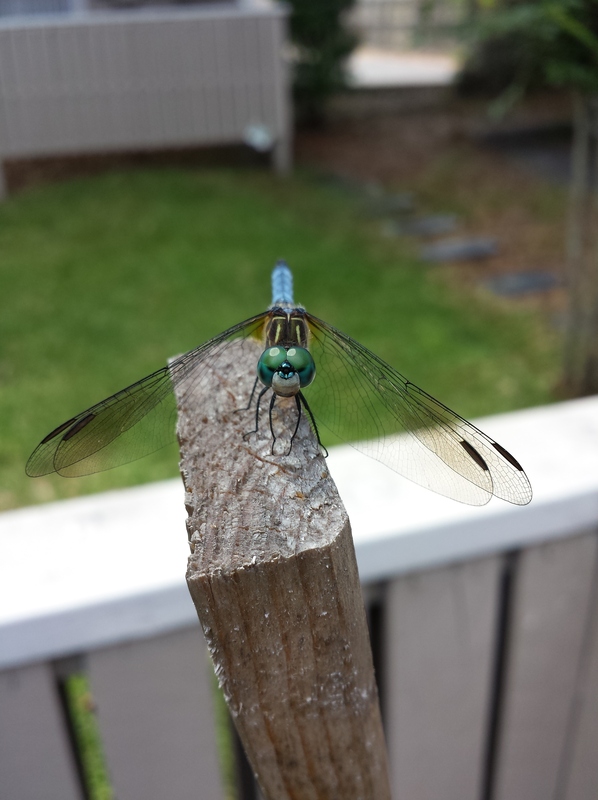 This entry was posted in Biology, Biology, Critters, Fun Fact, Gainesville and tagged backyard biology, biology, blue dasher, dragonflies, dragonfly, eastern pondhawk. Bookmark the permalink.